We all knew someone who OD'd on "Star Wars" memorabilia as a kid. He (it was almost always a "he") had every action figure, including the giant Millennium Falcon, plus a "Star Wars" lunchbox, bedsheets, pajamas, even a wastebasket. The Retroist (love that site!) found a picture of what might have been that kid's room. 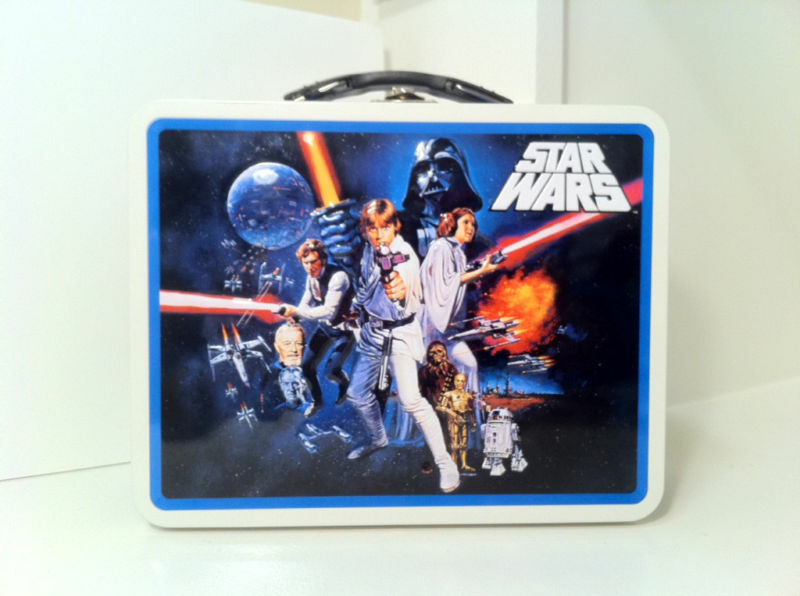 Tell us: What "Star Wars" memorabilia did you have as a kid? What did you envy? I was a bit too old for Star wars toys when the movie came out, but I did read the novelization of it. That, more than the movie itself, sparked my passion for science fiction. However, the son of a guy my dad worked for -- who was 7 or 8 in the late '70s -- had a huge collection of Star Wars figurines, some in the original packaging. If he still has any of those, he's sitting on a gold mine. i had the original figures all of them. plus some posters and the old record book including the one that had luke and biggs talking which some think is a cut scene of new hope. I was a 6 yr old girl when Star Wars came out. My dad took is to the drive-in every Friday that summer. I had the Darth Vader carrying case, the Death Star Space Station, an X Wing, a digital watch (like the kind kids get for free now with a happy meal), a couple of shirts, the soundtrack, The Story of Star Wars LP (to listen to someone narrate the story). I had some trading cards, too. I had a homemade jawa costume for Halloween with a wooden blaster my dad made. My older sister was a Sand person and was one of the coolest costumes I've ever seen.